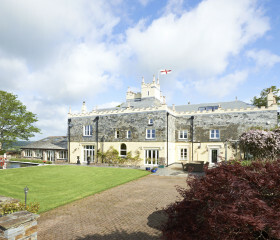 A quintessential coastal Estate, perched high on a hill one mile from the "little white town" of Bideford, close to North Devon's sandy beaches. 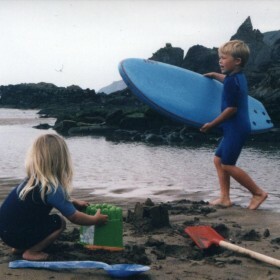 Deep within the Devon dream, you’ll breach the beaches, ride the waves and wear out the kids. 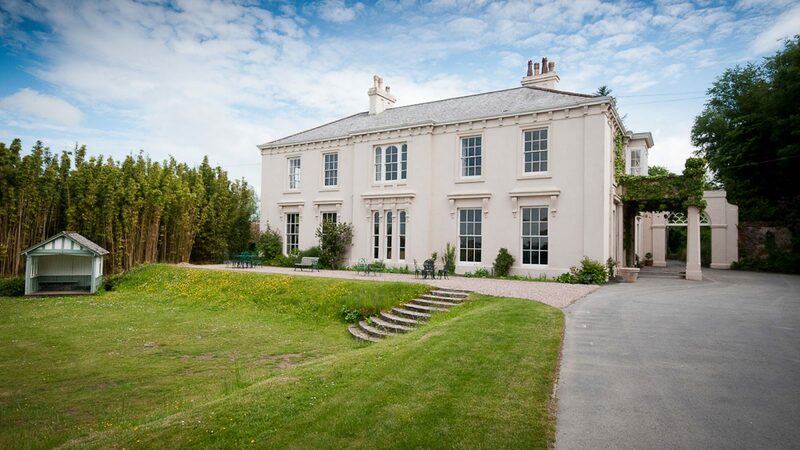 Set in a yawning acreage of perfect parkland, River Hall sits high above Bideford Bay and deep within the Devon dream. 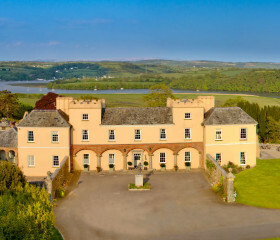 Amid rugged beauty, rolling hills and an ever-changing estuary, River Hall is a quintessential country Estate that’s party-palatial yet family-friendly. 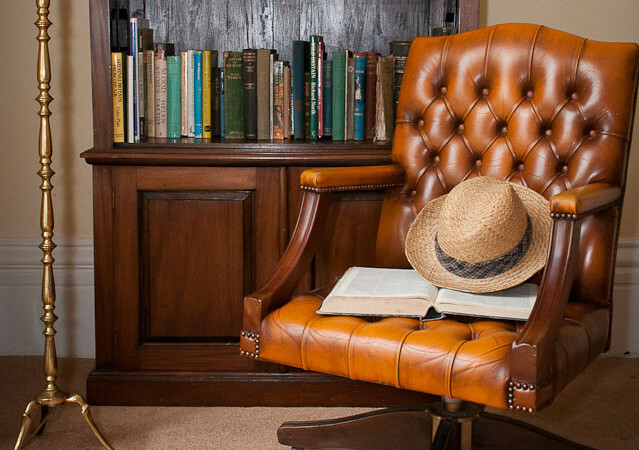 Effortlessly elegant and warm and welcoming. River Hall sleeps 22 with room for a few more children, and for seven more guests in the Coach House. 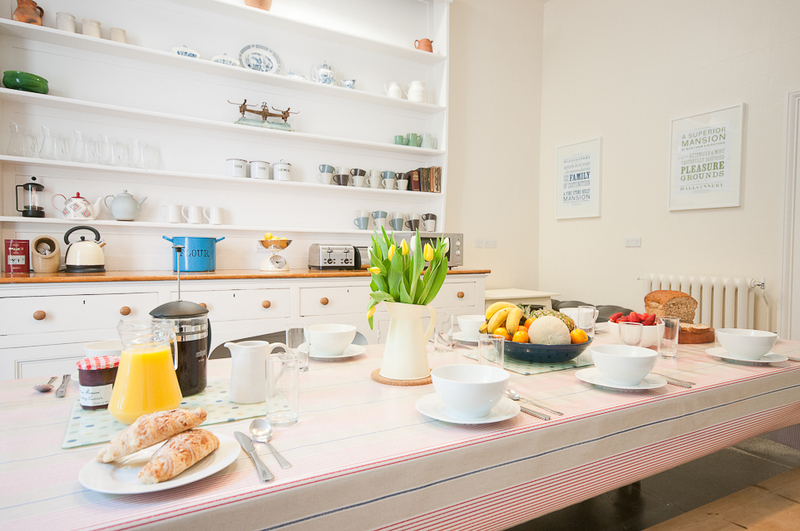 There’s oodles of downstairs space to enjoy, entertain and escape in, including a country kitchen with all the mod cons and a stunning dining room for elegant eating. 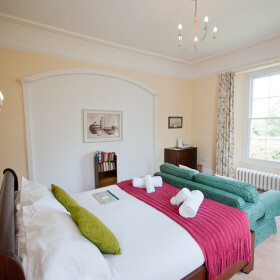 Tustle over eleven stunning ensuite bedrooms, all with a touch of quirky and most with spectacular views over rolling Devon hills and the Torridge estuary. Break the rustic hush with the clink of a flute glass on the terraces. Fire up the barbie. Spread out across the classic English lawns. Challenge the family to a game of croquet. 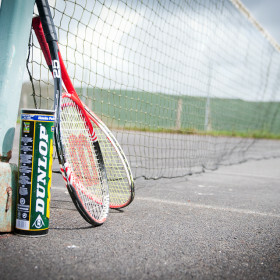 Work up a thirst on the tennis court – or a deep sleep. 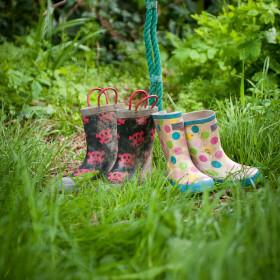 Take the Nature Trail through the woods and fields down to the river. 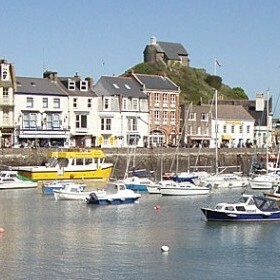 Beyond the manicured grounds and wild woodlands lies the rugged North Devon coast. 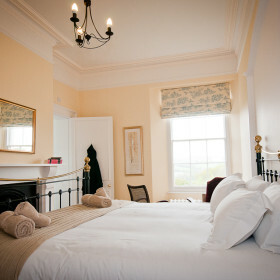 Punctuate your break with a trip to Westward Ho! Split the difference between Britain and America on lonely Lundy Island. 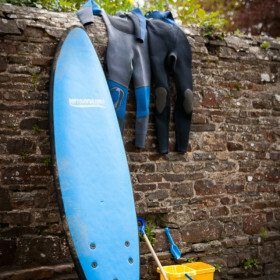 Walk the coastal path, ride the waves, take a white-knuckle ride on white water, try a wine tour, shoot some golf or clay pigeons, fish, or just reel in some real ale. 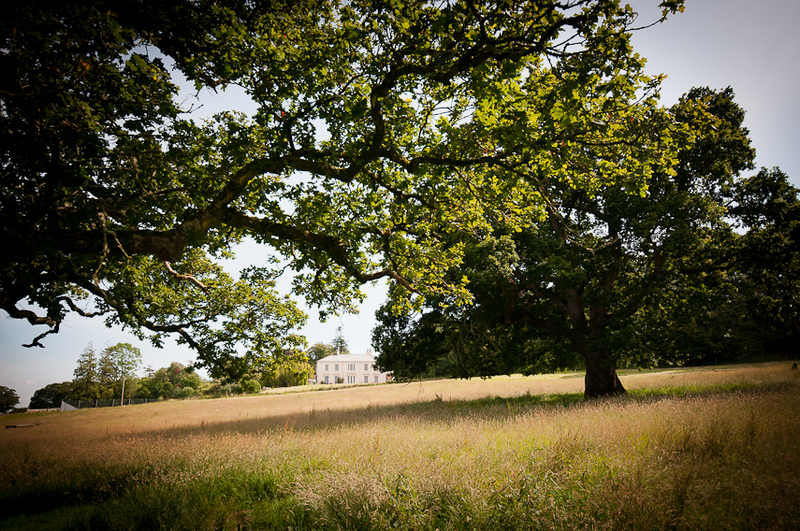 River Hall is set in five acres of private gardens and grounds, with rolling fields and ageing oak trees. 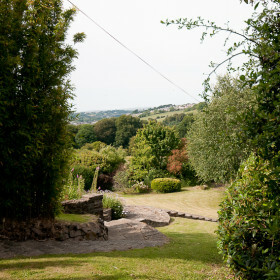 The Estate also has its own tennis court, boasting spectacular views over the Tarka Trail and River Torridge. 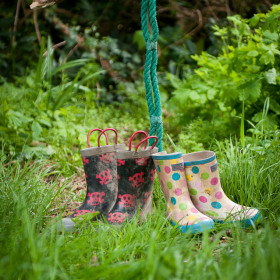 Enjoy woodland walks, tree-top swings and natural balancing beams. Or take the Nature Trail down to the river. The terrace is the ideal spot to relax with a spot of afternoon tea or a glass or two of bubbly. 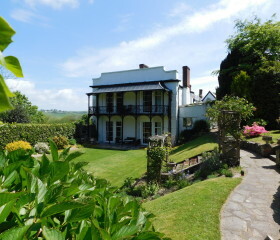 The extensive lawns are perfect for a quiet game of croquet or boules or a snooze in the sun, whatever takes your fancy. 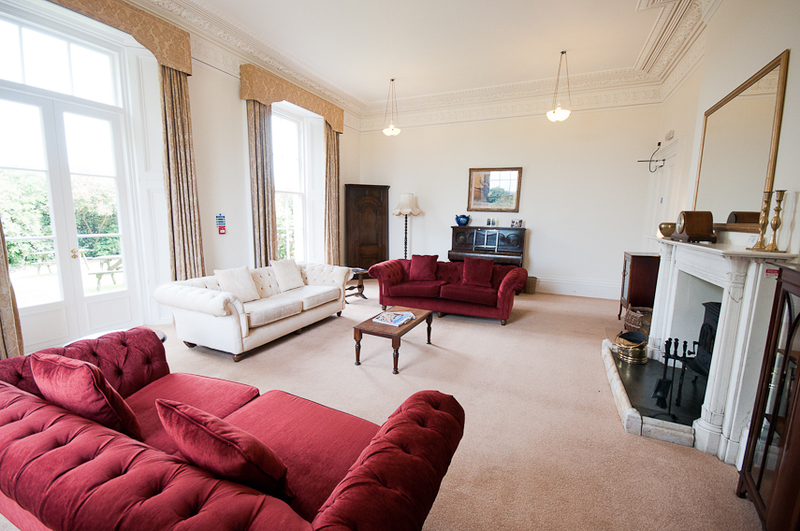 River Hall has three light and spacious living spaces, opening off a grand entrance hall. 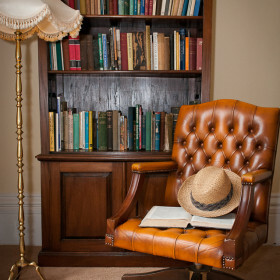 Take a pew in one of the two squishy sitting rooms, or seek solitude in the Library, filled with board games and books. 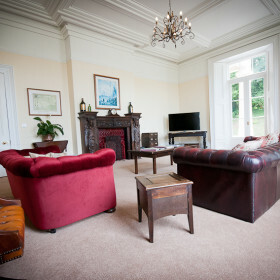 The main sitting room is a big, comfortable “gentleman’s retreat”. 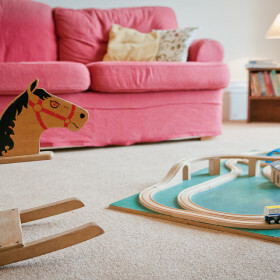 Get together on the giant sofas and make the most of the huge space for living, entertaining and plain old fashioned fun. 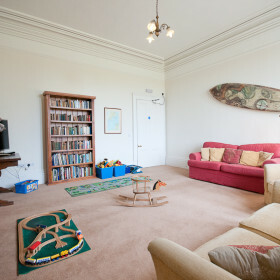 The Family Room is a little larger than the Sitting Room, and is complete with games, toys and a big TV. 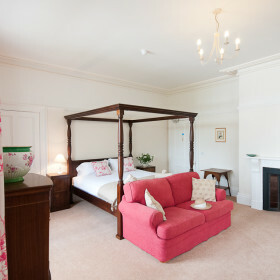 The Morning Room is an elegant room, perfect for relaxing in morning, noon and night. 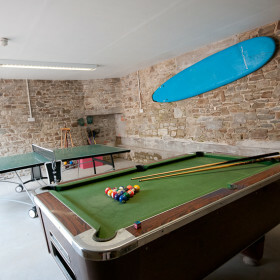 In the Coach House there is a games room including a large ping pong table, pool table, sofas and assorted games. 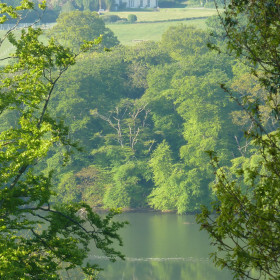 From the moment you arrive, until you pack your party back in the car, River Hall is yours to explore and enjoy…so take a deep breath of Devon air and make yourselves at home. 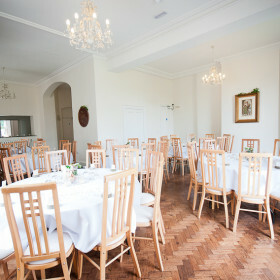 River Hall has an impressive dining room with a table for up to 28 guests. The perfect backdrop for a celebratory meal. 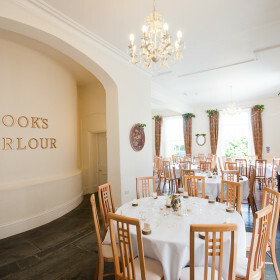 The Cook’s Pantry, just off the dining room gives you an extra space to relax in. 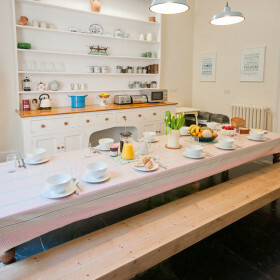 Indulge in the Sunday papers in the country-style Kitchen, a lovely white space with tall ceilings, full of light. 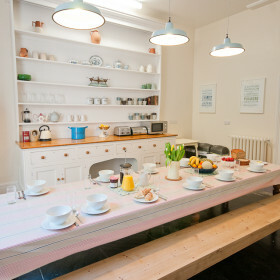 There is a big breakfast table, masses of shelving and all mod-cons, with a Utility room close by. Looking for a special meal without any fuss? 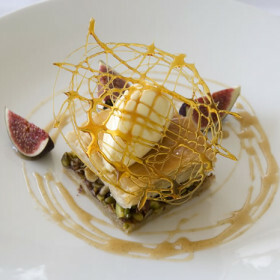 Our highly rated chefs will prepare a celebratory meal to order, all cooked and cleared out of the way. Once the plates are cleared, they’ll leave you to enjoy the rest of the evening. For special occasions, we can arrange all kinds of catering – from a simple buffet, to a summer BBQ or a fully catered holiday. Just let us know what you’re looking for and we’ll sort it out. 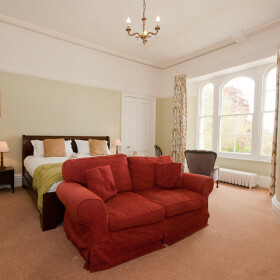 River Hall has eleven large, comfortable ensuite bedrooms for you to enjoy during your stay. 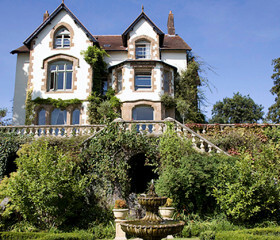 Each with their own element of quirky and most with stunning views of the North Devon countryside. The main house sleeps 22 guests, plus a few extra children, and there is space for up to seven more guests in the Coach House if required. 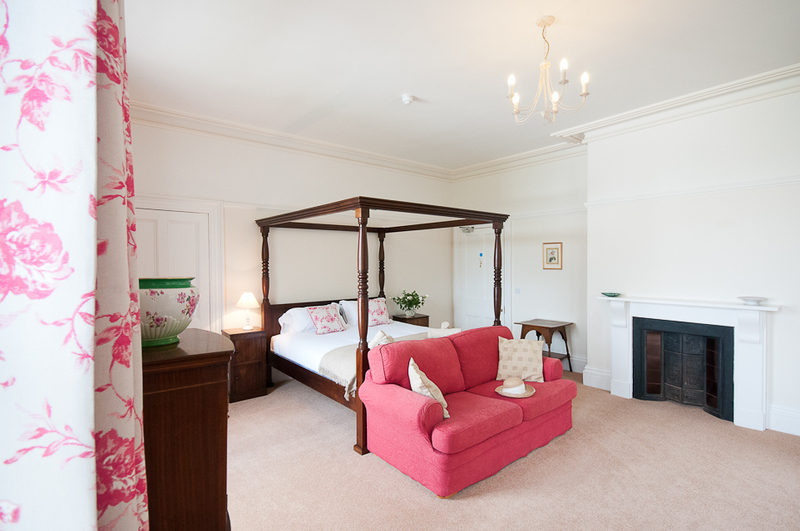 The Coach House has four bedrooms – two doubles, one twin and one single. 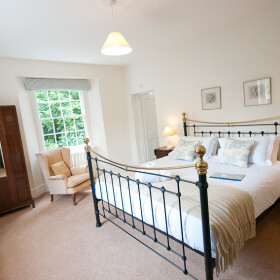 Within the main house there is one ensuite bedroom downstairs with full disabled access. 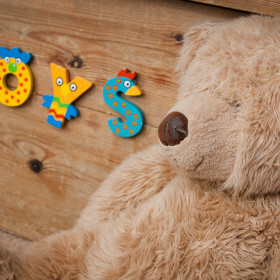 One of the bedrooms has a bunk bed perfect for the kids to make their own, complete with keep-em-busy buckets of toys. At River Hall there’s something for everyone and different spaces and places for all ages. That’s because we know that if your family is happy, then so are you. Inside there are halls, rooms and landings to explore. Board games, books and DVDs to discover. 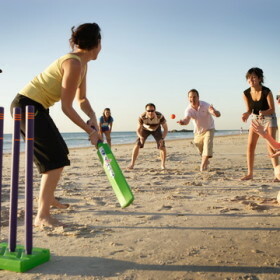 Outside there are five acres of gardens and grounds to run around in, Nature Trails to explore and footballs and cricket sets to make the most of. The bunk bed room is the ultimate hide away for the kids, complete with buckets of toys under the bed. 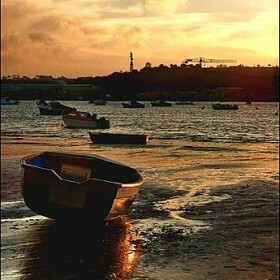 Days at River Hall are full of cream teas and crabbing, tennis and the Tarka Trail, surfing or shooting. At night, fill the house with family and friends, pop some corks, rustle up a chef and make merry.